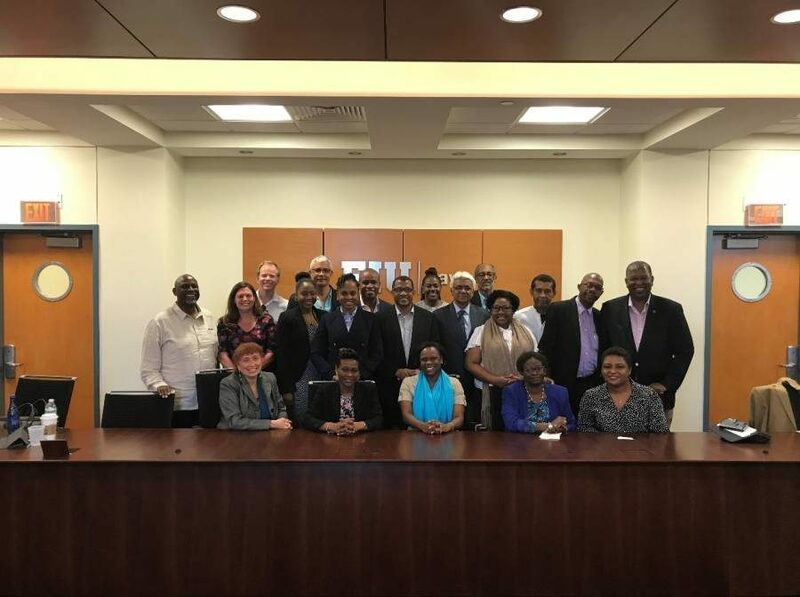 This past weekend, the Caribbean Bar Association (CBA) and the Florida International University College of Law (FIU Law) hosted the Organisation of Eastern Caribbean States (OECS) Bar Association and Organisation of Commonwealth Caribbean Bar Associations (OCCBA) for their regional and planning meetings. Beginning on Friday, 2 March 2018, members of the bar associations convened at FIU Law for a welcome and networking reception sponsored by the Greater Miami Convention and Visitors Bureau, represented by Barry Moskowitz, Vice President, Convention Sales. On Saturday, 3 March 2018, the OECS Bar Association, led by its president, Thaddeus Antoine (St Lucia) and OCCBA, led by its president, Liesel Weekes (Barbados) held meetings with matters concerning hurricane relief efforts in the Caribbean, updates on the Legal Profession Acts, and a presentation entitled, OCCBA and Some Disparate Aspects of the Rule of Law in the Caribbean by Justice Adrian Saunders of the Caribbean Court of Justice. At the closing dinner, Justice Courtney Abel of the Supreme Court of Belize delivered the keynote address titled, Can Judges be Nominated for an Oscar?, focusing on the independence of the judiciary, temporary judicial appointments and the role of bar associations. At OCCBA’s biennial meeting, a new executive board was elected to serve the organisation for the next 2 years. It comprises the President, Ruggles Ferguson (Grenada), former President of the Grenada Bar Association and the OECS Bar Association; Vice Presidents, Douglas Mendes SC and Donovan Walker, current President of the Law Association of Trinidad & Tobago and former President of the Jamaica Bar Association, respectively; Secretary, C Debra Burnette, Immediate Past President of the Antigua Bar Association; and Treasurer Lorraine Debra Glace, current Treasurer of the St Lucia Bar Association. 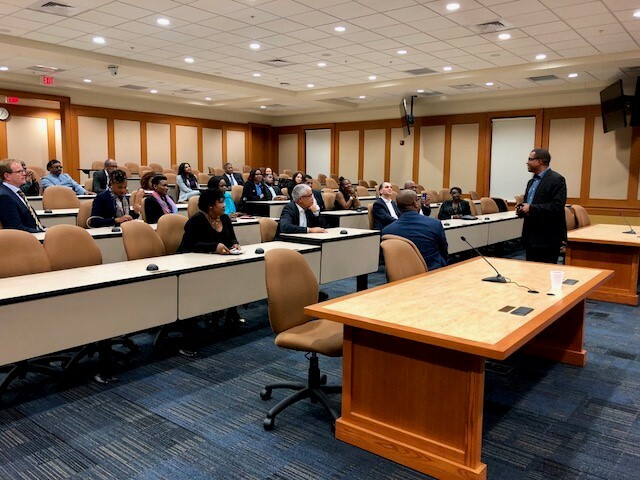 That the OECS Bar Association and OCCBA chose to have their meetings in Miami presented a rare and welcomed opportunity for the Caribbean Bar Association and its members to build lasting connections and have comparative legal conversations with our Caribbean counterparts, since the vast majority of the members of the Caribbean Bar Association; albeit of Caribbean origin and descent, are licenced and practice in Florida, said Niyala A Harrison, CBA President. The OECS Bar Association will hold its Annual Law Conference in St Kitts and Nevis in September 2018. The OECS Bar Association is an organisation of legal practitioners and constituent bar associations all functioning within and under the Eastern Caribbean Supreme Court, a superior Court of record, and counts among its 9 bar association members: Anguilla, British Virgin Islands, Antigua and Barbuda, Commonwealth of Dominica, Grenada, Montserrat, St Kitts and Nevis, St Lucia, and St Vincent and the Grenadines. OCCBA embraces the bar associations of the OECS plus Bahamas, Barbados, Belize, Guyana, Jamaica and Trinidad & Tobago. The CBA is a voluntary bar association, founded in 1994 in Miami, Florida; its mission is to Inform, Educate and Empower all members of the Caribbean-American community in South and Central Florida.